Lifelong hobbyists, now taking my favorite (current) projects and making it open source and available to the Tindie community. I've used these on a few of my projects making replacement parts for vintage computers. 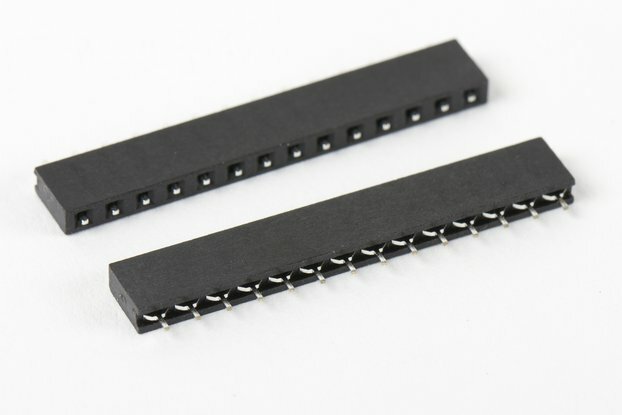 They are a nice way to make a board which is no larger than a 40 pin DIP IC and will fit in most types of sockets without damaging them. 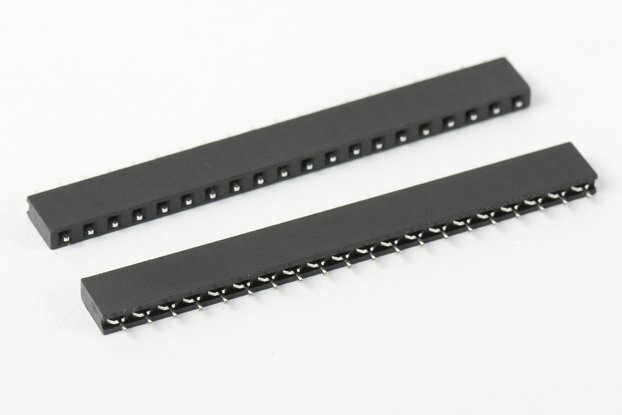 A couple of requests for future versions, it would be useful if the carriers were joined in pairs with 0.6" or 0.3" spacing, so you could just sit a board on and solder, and both sides would be correctly space and straight. Also for me it would be preferable if the pins stuck up out of the PCB to make soldering easier. 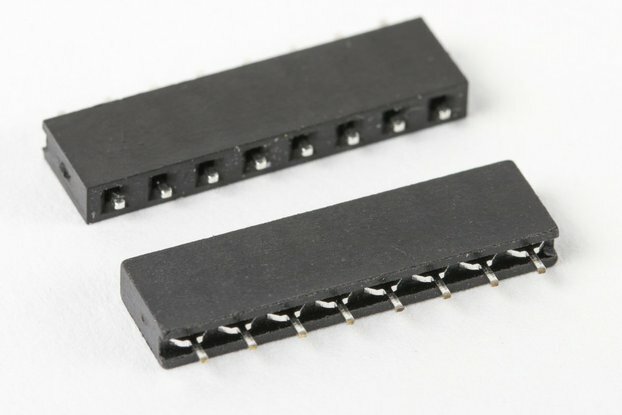 Very easy to solder, and makes any PCB into a DIP! 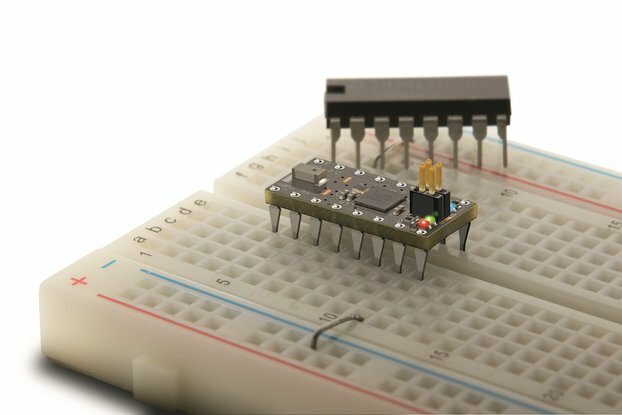 Also, very easy to plug the new "DIP" package into a breadboard. Could be a good product if it's support existed. The web site contains a series of pages whose only content is "Not yet written". 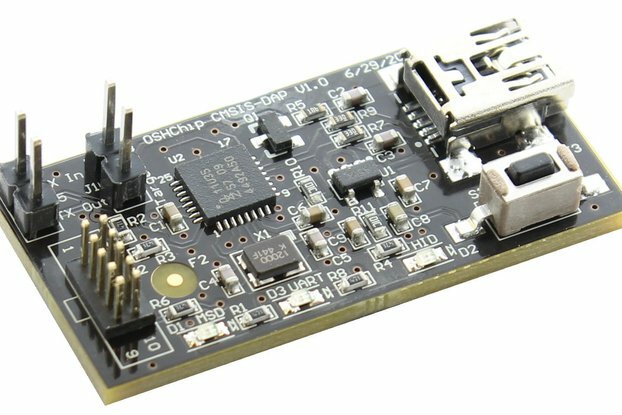 In contrast to other microprocessor boards, OSHChip has no boards support for the Arduino IDE and no examples appear to have been published. At this stage, it is a waste of $100 to have bought 2 OSHChips and a programmer. At $25 each, these chips could be worth purchasing only if they were well supported. They are not. 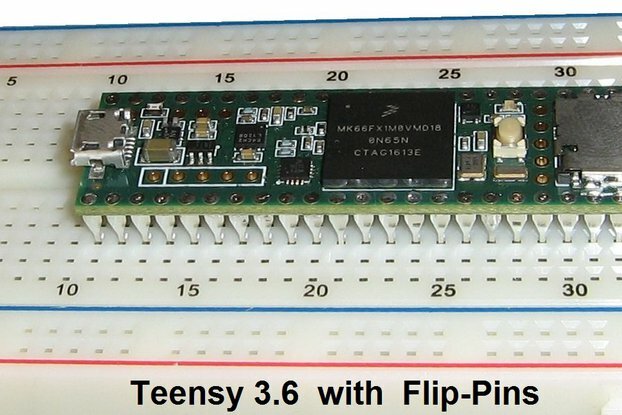 Since my previously down-to-earth review of OSHChip documentation, I have been contacted by Philip Freiden, the originator, who has pointed me to the significant work that is now emerging at a great rate. In the last few weeks, much has happened and Github, Embed and Redbearlabs are now generating documentation that was completely missing when I took delivery of my chips a few weeks ago. Philip also tells me that Arduino IDE support is in the pipeline - a welcome development.